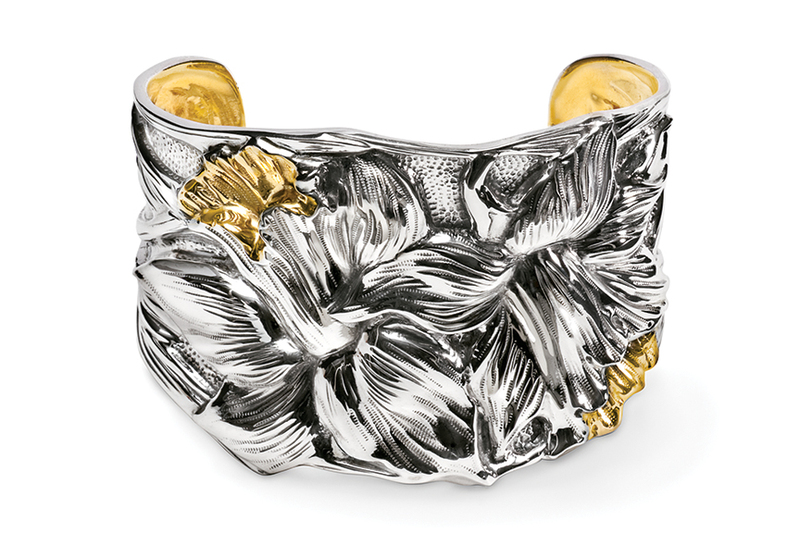 The Wild Iris Cuff is the latest and many say greatest cuff creation from our collection. Irises have legendary age-defying properties and this design exudes energy and nubile beauty. Note the heavenward bent of the blooms and the gorgeous strapping of its distinctive stalks on each side. Wear this work of art with pride.